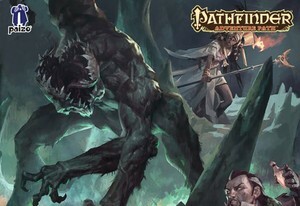 The "Dreams of the Yellow King" SoundPack gives you the complete audio solution when playing the third chapter of Pathfinder's "Strange Aeons". All the preparation is done for you and every sound you'll need is right at your fingertips. The cult of Hastur no longer threatens Thrushmoor, and now the adventurers board a riverboat to Cassomir to track down their obsessed and corrupted former employer. Along the way, they explore the Dreamlands and attempt a number of bizarre dream quests, after which the adventurers can heal their fragmented minds—but they also learn of a greater threat looming over Golarion. Can they survive the perilous Dreamlands and emerge intact or will they be stranded in a dimension of nightmares? "Good day for a sail"
"Wieralai & a man in Yellow"
"You seek a signet ring? Where is the Yellow King? "You should have said so"